office address: UTIA AV CR, v.v.i. 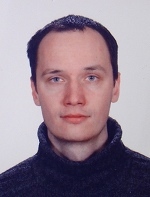 I graduated in computer sciences at the Faculty of Mathematics and Physics of Charles University in Prague, specialisation was computer graphics. I accquired PhD at the same faculty in colaboration with the Institute of Information Theory and Automation of the Academy of Sciences of the Czech Republic, where currently I work as a researcher. I specialise in robust texture recognition and recognition in variable conditions as illumination/colour variation and image rotation. I have also experince with object recognition methods and image registration techniques. Apart from this am interested in algorithms on graphs, Java, J2EE, and design patterns. 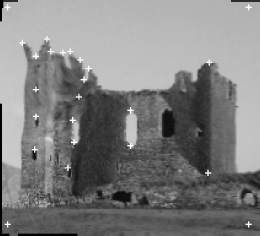 Appearance of real scenes is highly dependent on actual conditions as illumination and viewpoint, which significantly complicates automatic analysis of images of such scenes. In this thesis, we introduce novel textural features, which are suitable for robust recognition of natural and artificial materials (textures) present in real scenes. These features are based on efficient modelling of spatial relations by a type of Markov Random Field (MRF) model and we proved that they are invariant to illumination colour, cast shadows, and texture rotation. Moreover, the features are robust to illumination direction and degradation by Gaussian noise, they are also related to human perception of textures. The features were favourably tested on current textural databases (Outex, Bonn BTF, CUReT, ALOT, and KTH-TIPS2), where they outperformed state of the art methods (including opponent Gabor features, LBP, LBP-HF, and MR8-LINC) in almost all experiments, e.g. the results on ALOT dataset was improved by 20%. We applied our features in construction of a content-based tile retrieval system, optimisation of texture compression parameters in accordance with human perception, invariant segmentation of multimodal textures, and recognition of glaucomatous tissue in retina images. The presented methods can improve in existing CBIR systems or they can be utilised in domain specific CBIR systems focused on structural/textural similarity. 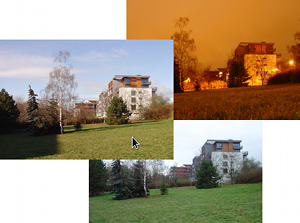 Other applications include computer vision, since the analysis of real scenes often requires a recognition of textures in variable conditions. The thesis won Antonin Svoboda prize 2012 for the best PhD thesis in computer sciences and cybernetics awarded by Czech Society for Cybernetics and Informatics and got into finalists of European award from promising yound researchers in computer science and applied mathematics - ERCIM Cor Baayen Award 2013. The articles that are not freely available for download can be alternatively downloaded from here or just send me an email and I will send you the preprint version. Haindl M., Vacha P., Wood Veneer Species Recognition using Markovian Textural Feature, Proceedings of Computer Analysis of Images and Patterns, CAIP 2015, accepted. Vacha P., Haindl M., Suk T., Colour and rotation invariant textural features based on Markov random fields, Pattern Recognition Letters, vol. 32, pp. 771-779, April 2011. Vacha P., Haindl M., Texture Recognition using Robust Markovian Features, in: Proceedings of the MUSCLE International Workshop on Computational Intelligence for Multimedia Understanding 2011, LNCS 7252, pp. 126-137, 2012. Vacha P., Haindl M., Natural Material Recognition with Illumination Invariant Textural Features, in: Proceedings of the 20th International Conference on Pattern Recognition (ICPR'10), pp. 858-861, Istanbul, Turkey, August 23-26, 2010. Vacha P., Haindl M., Illumination Invariants Based on Markov Random Fields, in: Proceedings of the 19th International Conference on Pattern Recognition (ICPR'08), pp.. 1-4, Tampa, Florida, USA, December 8-11, 2008. Filip J., Haindl M., Vacha P., Analysis of Human Gaze Interactions with Texture and Shape, in: LNCS Proceedings of the MUSCLE International Workshop on Computational Intelligence for Multimedia Understanding 2011, LNCS 7252, pp. 160-171, 2012. Somol P., Vacha P., Mikes S., Hora J., Pudil P., and Zid P., Introduction to Feature Selection Toolbox 3 - the C++ library for subset search, data modeling and classification. Technical Report UTIA TR No. 2287, Czech Academy of Sciences, 2010. Filip J., Vacha P., Haindl M., Green P. R., A Psychophysical Evaluation of Texture Degradation Descriptors, in: Proceedings of IAPR International Workshop on Structural, Syntactic, and Statistical Pattern Recognition (SSPR & SPR 2010), LNCS 6218, pp. 423-433, Cesme, Izmir, Turkey, August 18-20, 2010. Haindl M., Mikes S., Vacha P., Illumination Invariant Unsupervised Segmenter, in: Proceedings of IEEE International Conference on Image Processing (ICIP'09'), pp. 4025-4028, Cairo, Egypt, November 7-11, 2009. Kolar R., Vacha P., Texture analysis of the retinal nerve fiber layer in fundus images via Markov Random Fields, in: Proceedings of IFMBE World Congress on Medical Physics and Biomedical Engineering , vol. 25/XI, pp. 247-250, Munich, Germany, September 7-12, 2009. My thesis "Image Registration by Means of Radial Basis Functions" deals with the removing of local deformation of images. 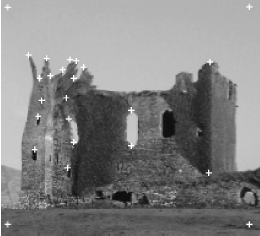 The input is deformed image and positions of defining points in the deformed image and in the restored image. The task is finding the corrective image between these points, which is constructed by means of radial symmetric Gaussians functions. These functions are localized (in practice not in theory) so they can easily employed to correct local deformations. I also deal with the selection of smoothing parameter that controls the size of influence of defining points.